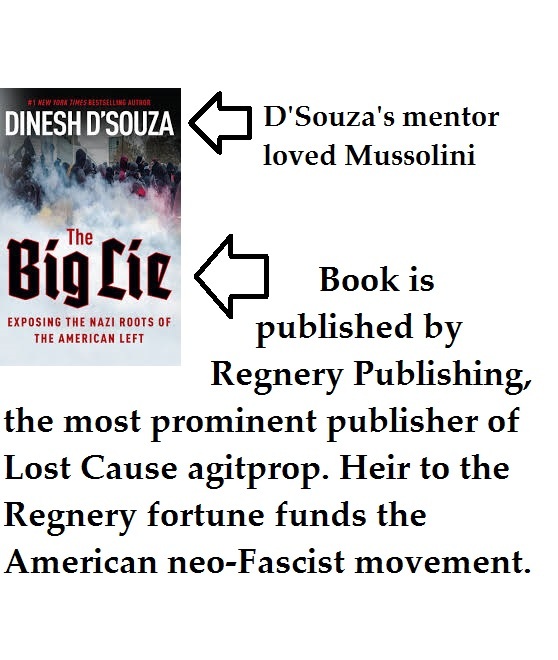 My Amazon review of Dinesh D'Souza's latest book The Big Lie: Exposing the Nazi Roots of the American Left is very popular; in fact, for a while Amazon listed it as the top negative review. 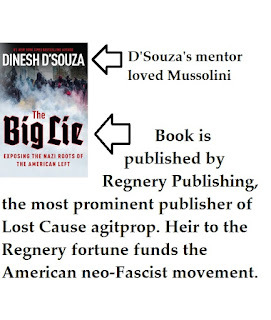 The review includes a lot of information I previously wrote about D'Souza's publisher Regnery. Also, here is my review of D'Souza's film Hillary's America: The Secret History of the Democratic Party.